Mead is an old-fashioned drink that’s been around for centuries. If you aren’t familiar with mead, it’s an alcoholic beverage made from fermenting honey and it can be DELICIOUS. 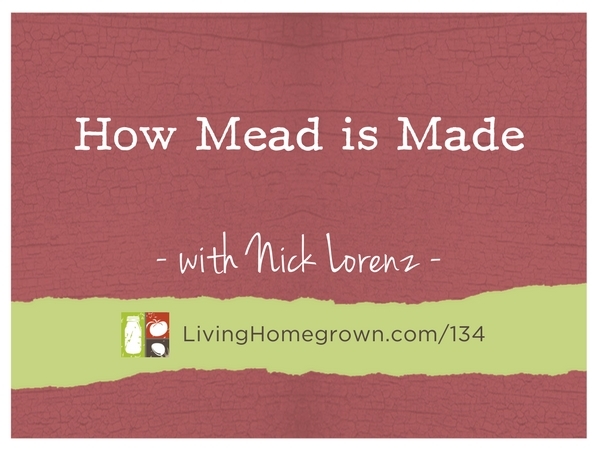 I’ve invited Nick Lorenz of Nectar Creek Brewery on to talk about the art of crafting mead. This drink is experiencing a resurgence thanks to companies like Nectar Creek. But they’re doing WAY more than just producing a tasty beverage. They use locally sourced honey and educate their taproom guests about the importance of honey and bees. I’ll say ‘Cheers’ to that! 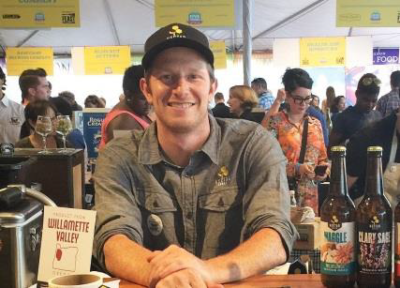 Nick Lorenz co-founded Nectar Creek with his brother Phillip in 2012 which is located in Philomath, Oregon. Nectar Creek produces some of the finest mead in the country and they have won numerous awards for their product because of their unique flavor combinations. They recently swept the awards at the Mazer Cup, which is the largest mead competition around (winning gold, silver and bronze across the category). But Phillip and Nick did not only create a delicious product. They were very careful to produce a mead that is “farm-to-table”. Every ingredient is tied to local, sustainable agriculture. From the honey that is sourced 100% from sustainable beekeepers to the fruits and herbs that were pollinated by those same bees, Nectar Creek is intentional with every part of the process. Nick directs the brand, leads marketing and event initiatives as well as runs and manages the brand new tap room and kitchen.